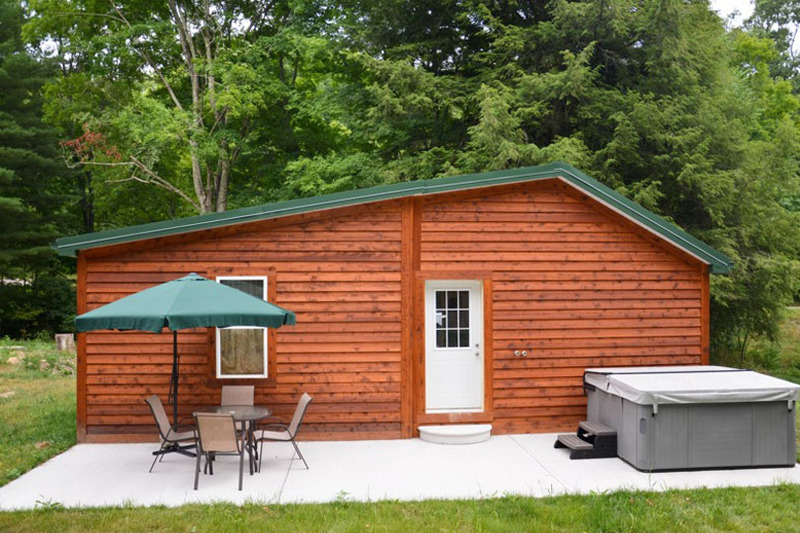 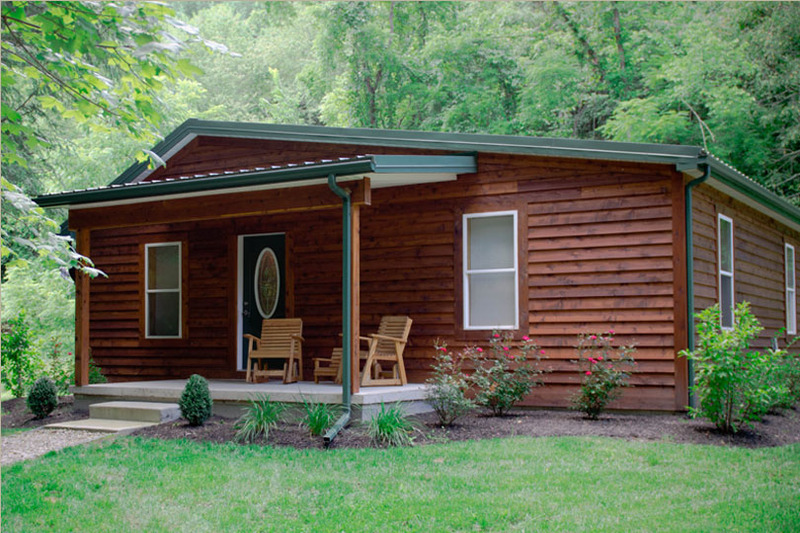 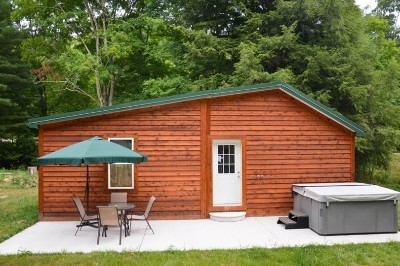 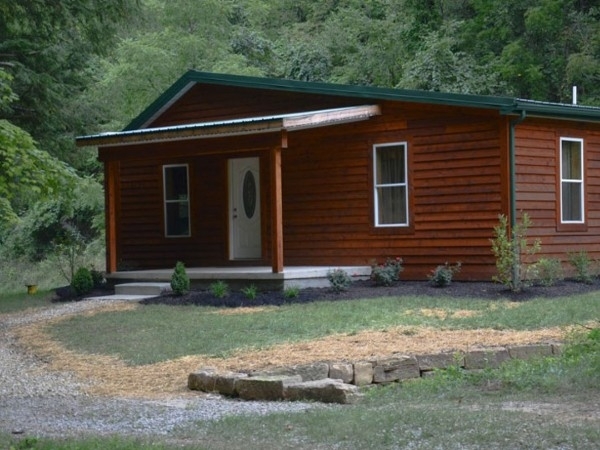 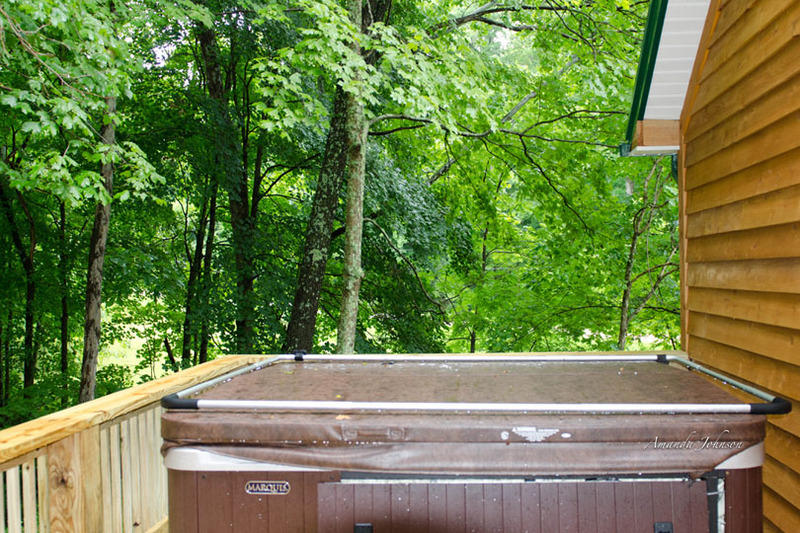 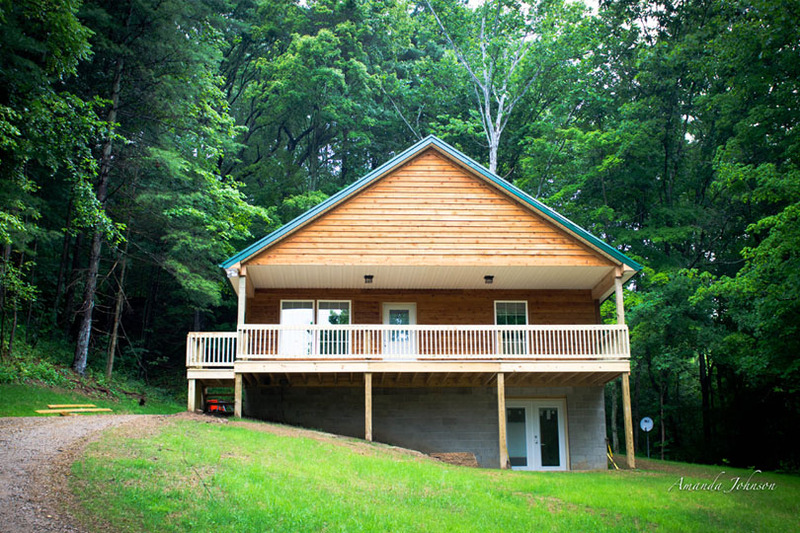 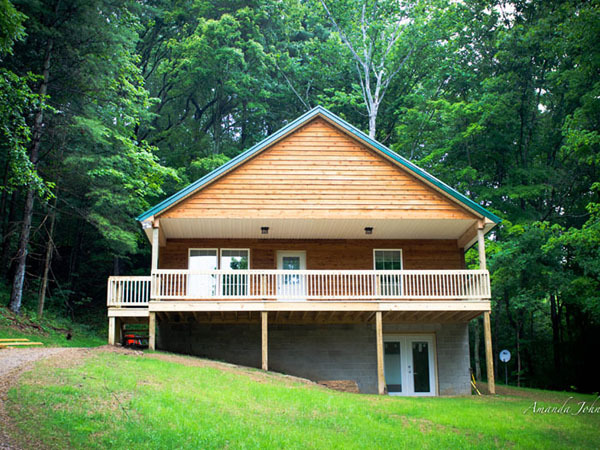 The cabin is on the hillside overlooking Scotts Creek.It is on the far side of our 9 acres with total privacy from our other cabin The basement game room is done, this doubles the size and adds an extra bathroom and bedroom. 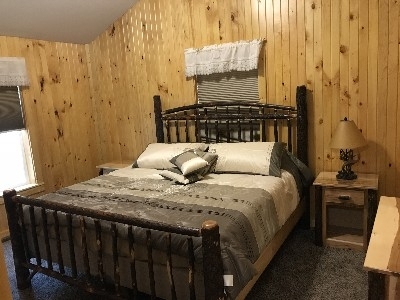 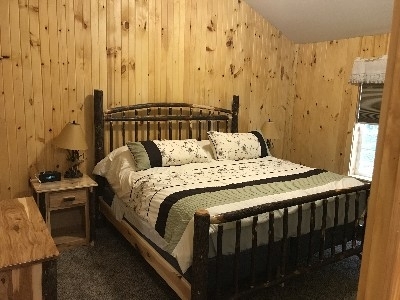 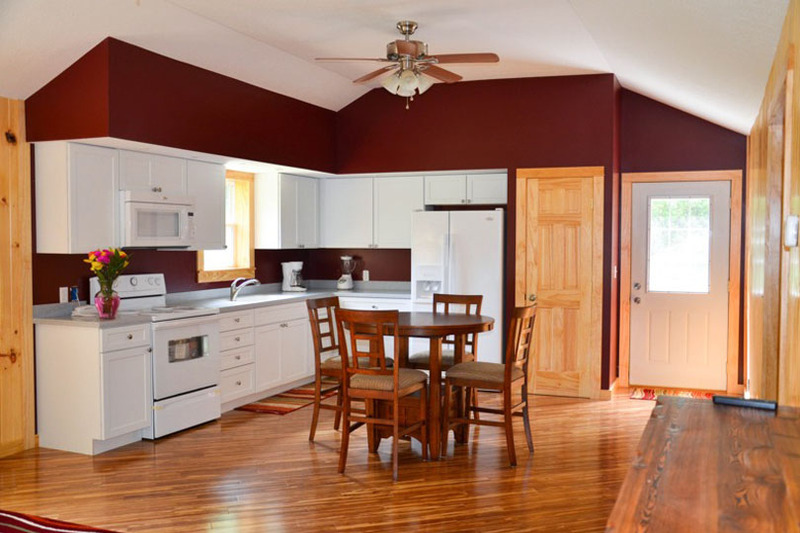 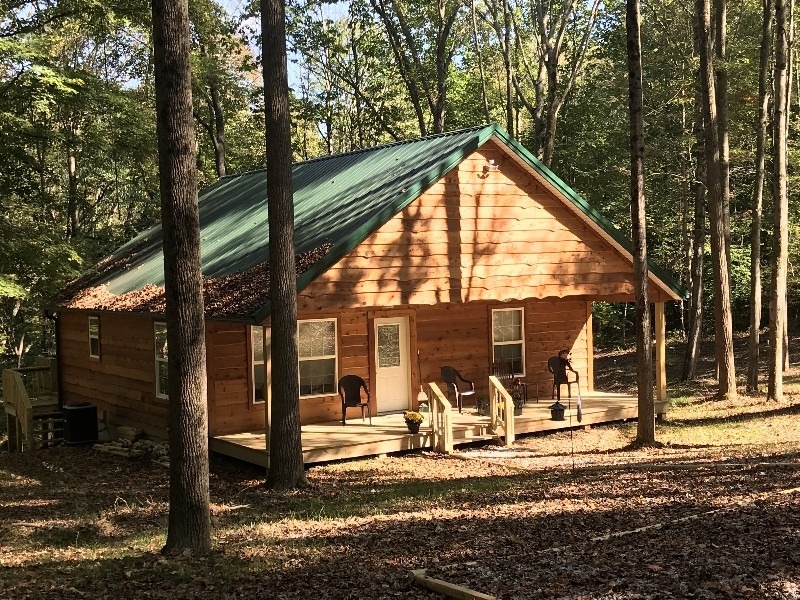 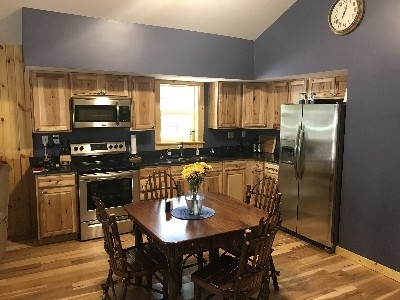 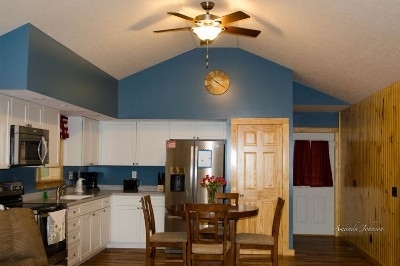 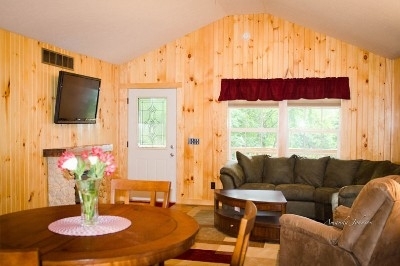 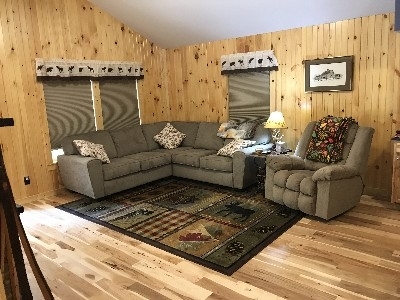 Cabin has 2 Bedrooms with Queen beds,A/C,fire pit,electric fireplace,hot tub and gas grill on back porch, pet and child friendly,9 acres with woods and open fields. 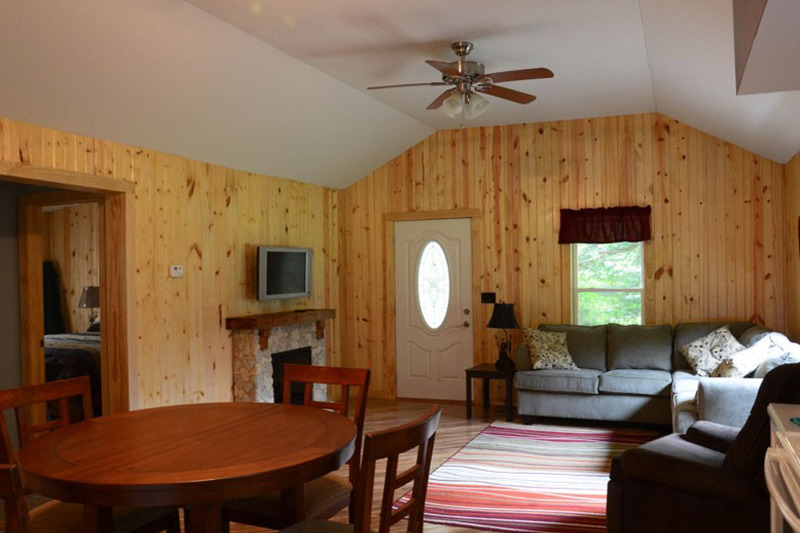 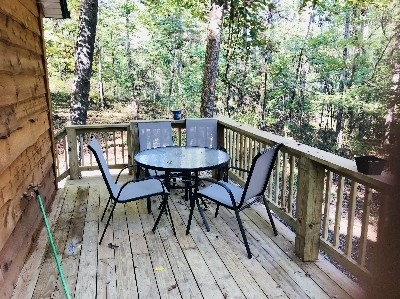 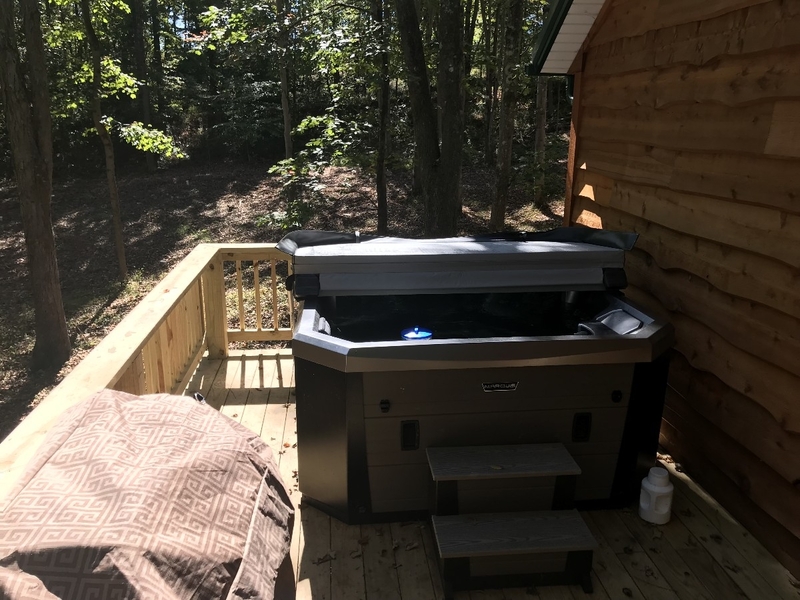 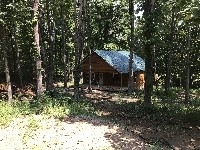 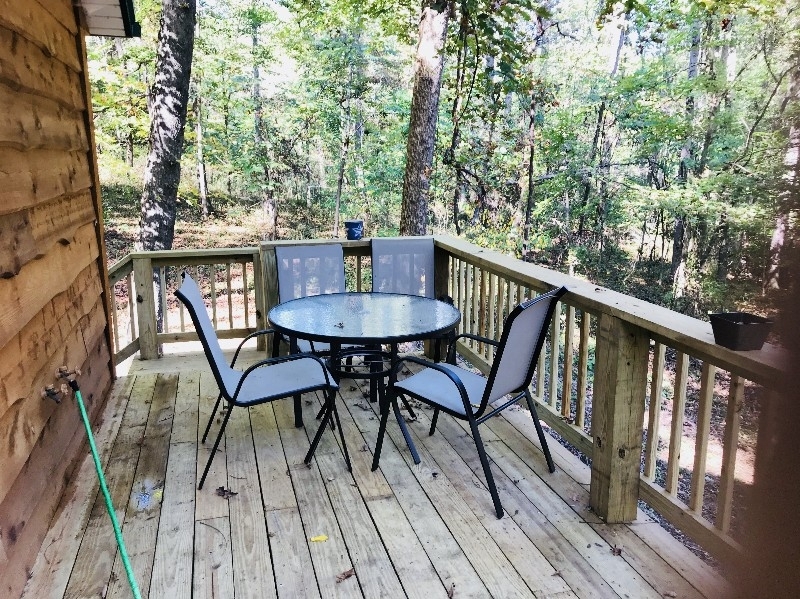 Cabin has 2 Bedrooms with King beds, A/C, fire pit, electric fireplace, hot tub and gas grill on back porch, pet and child friendly, 9 acres of woods.